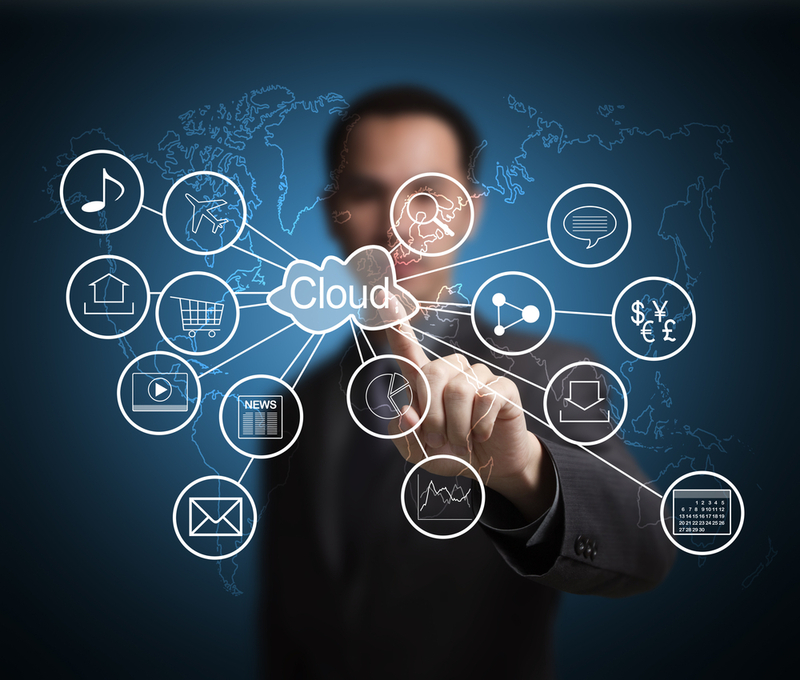 Cloud computing has become the default way for deploying applications or services. Cloud computing offers companies, enterprises and startups the ability to avoid, or minimize, spending while leveraging the flexible nature of the cloud infrastructure to meet growing business needs. A growing challenge for applications is obtaining optimal availability at all times. Today, cloud based infrastructures are often built with a large number of systems geared for elastic scalability while hardware costs should be kept to a minimum. These flexible scenarios means that certain components are geared to fail. Enterprises are designing applications to tolerate occasional downtimes, or at least devising an application with the ability to bypass potential failures. Even with all of the precautionary measures in place, writing or rewriting existing applications for optimal cloud usage can be labor intensive and involves a significant investment of costly resources. Uptime Management is a set of services and tools designed for controlling, monitoring and optimizing operational productivity. Proper uptime management is indeed crucial in averting emerging issues, solving critical situations and reducing downtime. Furthermore, Uptime Management encompasses a disaster recovery mechanism in the event of an emerging issue. At its core, Uptime Management is dependent on 24/7 Network Operation Center (NOC). The NOC is not only responsible for controlling the network and bare metal infrastructure, the NOC actually manages the entire application and service operation. The NOC offers a broader, overarching analysis of the entire system operation. With this information, critical decisions can be approached in a proactive manner rather than a temporary, reactive response. In this manner, the NOC services promote a hands-on, continuous, business-focused monitoring approach. Monitoring is being conducted in a humanized manner to assure availability and attentiveness at all times, ensuring that all emerging situations receive the necessary attention in real-time. It goes without saying that all 4 layers of monitoring should be carried out in a precise and centralized manner. In other words, the Uptime Management provides a unified view of the entire IT operation aspects, which renders confidence and stability as enables the respective decision makers to allocate skillful resources to other tasks and assignments within the organization. Indeed, professional monitoring means continuous service leverage, as changes and updates to and from the cloud are constantly being implemented e.g. new modules. Real-time monitoring of both the application and its infrastructure secures the service smoothness, primarily based upon the critical assessments, stemming from the humanized NOC operation. A tiered IT support structure enables an organization to maximize its staff resources by allowing NOC engineers to address routine activities, freeing up higher‐level support engineers to focus on more advanced issues and implement strategic initiatives for the organization. In a 24×7 proactive support environment, events or incidents, reported by servers, applications, or networks, can be detected, classified and recorded via the monitoring tools and consequently solved. For the sake of improving efficiency, customized monitoring dashboards are then used to filter out any irrelevant events or false positives. Integrating a tiered support structure, utilizing a 24×7 NOC, enables an organization to detect, prioritize, escalate and efficiently resolve incidents without diverting resources of development engineers. It appears that a complementary component to the Uptime Management scope constitutes the DevOps framework. In this context the DevOps team is to increase agility during stress situations in Live production by performing Tier 2 support in real-time with utmost efficiency as per NOC/R&D requirements. Furthermore, a well-functioning DevOps scope excels through a better utilization of the structured architecture enhancing the network productivity as implementing additional monitoring procedures and graphs. In addition to real time monitoring, Uptime Management constitutes a service harmonization between the run-book process and a centralized dashboard. Targeting functionality optimization enables both the NOC team and the end user to benefit from a clear overview of the scale and extent of service productivity. In other words, by employing a Run-Book mechanism with a centralized dashboard a sound and smooth knowledge flow within the organization is established. Centralized Dashboard provides each authorized person within the organization with a unified status view any time, at all times according to predefined and yet easily customizable key performance indicators and parameters. Run-Book A process, which is incorporated into the operational workflow, which distills a crystal-clear and simple list of tasks and indices out of any architecture state, regardless its complexity. This Run-Book process forms an accurate transfer of a non-documented knowledge, accumulated by particular individuals, towards meticulous and constantly updating event documentation, which consequently reduces the dependency on single persons within the organization. Routine preventive maintenance is perhaps the easiest and least painful way of bolstering server reliability. Regularly performing maintenance such as updating system software can go a long way in creating a data center filled with servers operating at optimal levels, with minimal investment of resources or staff time. Organizing and scheduling server maintenance, ensures that all necessary work is performed when required, minimizing the impact on overall operation of the enterprise. At all times, maintenance work should be handled in such a way that the practice itself would not consume server uptime. Prevention is better than cure. In today’s global online economy, 24/7 access to the entire organizational data and applications is a requirement for an enterprise’s IT end-users and customers. Keeping your business running 24×7 under any circumstance is critical to preserving customer trust and ensuring success. A seamless Uptime Management means the right selection and pursuit of an DR strategy for each organization. A pre-requisite for a well-functioning DR in a due event is to put together an DR plan, which refers to the organization’s business necessities by devising the key metrics of recovery point objective (RPO) as well as recovery time objective (RTO) for its operational and business-oriented processes. Such a DR Management facilitates continuous access to the organizational data and systems, even after a disaster, which is often associated with severe lack of storage in a cloud environment. Furthermore, in hybrid cloud infrastructure a well-organized DR Management replicates both on-site and to off-site data centers, so that in the event of a physical disaster, servers can be brought up in the cloud environment and vice versa.